As a doctor myself, I can say that there is some great information in these pages- a lot about fat and the detriment that it's causing in our culture. Some doctors like to suggest cures to symptoms instead of cures for the problem and it appears that these gentleman may be doing just that. The gimmicky (and funny) "waist management" technique is interesting and fairly unique from what I've seen, but it can be seen as just a diversion. Maybe people who are obese need a diversion and need to stop thinking about food, but it's my experience that people need to focus on how they were designed (we were designed to constantly eat) and then cater to that by eating the right types of foods at certain times. 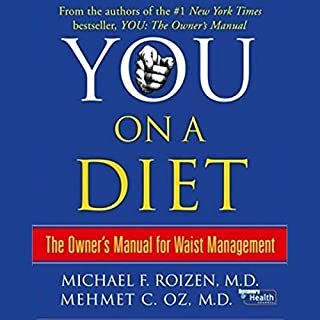 Roizen and Mehmet's humorous approach reminds me of one of my favorite diet/nutrition books, "The Evolution Diet," which makes learning about the body entertaining as well as informative. Perhaps the author(s) of the You On a Diet could have focused more on the appropriation of one's diet as Evolution does, but it appears that people can really be helped with these techniques and that's the main goal- a fitter world. Gilbert's book is fascinating, funny, and inspirational and should be read by everyone who wants to know more about human behavior or who wants to stimulate their brain a little. One of the first studies Gilbert mentions is one that showed how learning new information actually makes us humans happy. This was certainly the case for `Stumbling,' especially when you add all the witty personalized remarks about one's brother-in-law eating cheese dip on the couch and various other anecdotal comments to help prove his points. 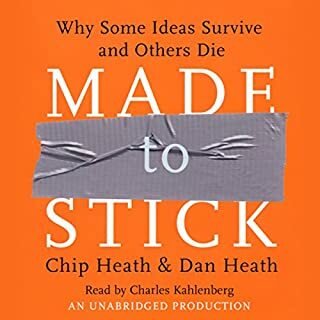 On the other hand, while most of the book focuses on fascinating psychological findings and scientific studies, he doesn't tie them in concretely to his ultimate conclusion of why people aren't happy when they think they're supposed to be. Ironically, Gilbert falls into a trap, which he criticizes within his own book. Two-thirds into the book, the author notes that the ending of an event leaves a more permanent mark than the event as a whole, and this is the case especially when one is disappointed at the end of an event. Gilbert uses `Schindler's List' as an example of how the monologues at the end ruined a great film up until then. The author's memory of the entire film was negative due to this. Unfortunately, after a nearly flawless book, `Stumbling' suffers from a similarly marring section near the end. 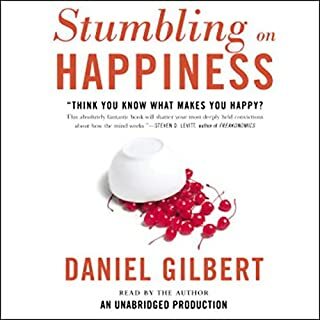 After fully explaining every point he has until the end, when the last section arrives, Gilbert throws in undeveloped ideas about making money and having children as the root of unhappiness in today's society. It's one of those instances where you can instantly come up with questions that would put his points in doubt. I was conscious of his overpowering ending theory, however, and I refused to let this cloud my judgement of the entire book as a whole. What `Stumbling' can offer is too good to be tarnished by a last-minute unfounded theory. Overall, however, this is a very good book.